Many women are mistaken by thinking that thinning hair and baldness I something that just happens in men. The fact is female thinning hair is not very uncommon for women over the age of 40. Luckily for you, the technology that we have today has designed some excellent and effective thinning treatments. Take a look at the type of treatments that you may find helpful to you and your head! You may have inherited your thinning hair from your parents or even grandparents. It has been medically proven that you can get hair loss genes from your mom or your dad. Both parents have been known to carry the thin hair gene. If you know this ahead of time, you should get with your doctor or get with a specialist to explore your options. There are hair products on the shelves today that may not be right for your hair. If you already know that you have thin hair take a look at the type of hair products that you are using. This includes shampoos, conditions, gels or hairsprays. Take a look in the section that is specifically designed for your fragile hair type and try a product from there. These are to be used when you wash your hair and they have shown some results. There is other over the counter medications that you can try out if the shampoo you buy does not make a good fit. These products are designed for both men and women, as separate products of course. You can talk to your pharmacist about locating a product such as this or talk to a specialist about the brands ad types. You can be assured that the products you find are all approved by the FDA. Of course if you do not want to mess around with product after product you can always turn towards the surgical road. There are a couple of surgeries that you can your specialist can look into. 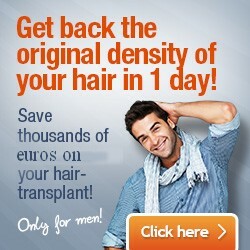 Hair transplants are used for those who have severely thinning hair or hair loss. If you are not losing as much, then this may be a bit extreme. Women who just have simple thinning hair can save thousands of dollars if they simply purchase a custom fit wig. You can even change your hair color or hair style with a new wig. Take a look around your local wig shop and do not spend more than $50 to $100 on your new hair. Female thinning hair is not something to be ashamed of. If you feel that you want to treat your situation, then take a look at the treatment options that have been listed above. There are plenty of great ways to stop female hair loss and start feeling and looking good once again!